I've used the Schuberth E-1 Helmet for over one year, 9 months of which was a 30,000 mile trip so I definitely have some thoughts on it. 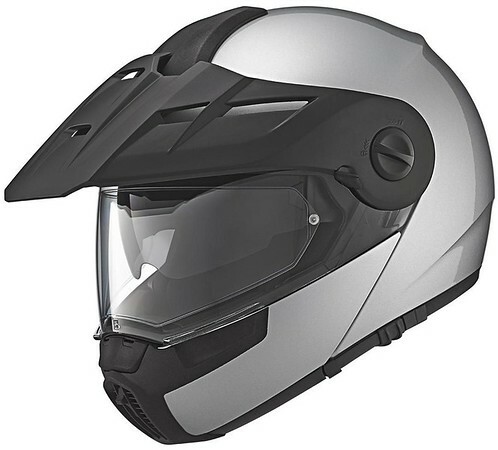 The brand is hailed as the Holy Grail of helmets and priced about the same, but I bit the bullet when Schuberth made a flip-front adventure helmet, something I'd waited for a long time. Crossing borders and checkpoints without having to remove your helmet to show your face is great, as is conversation when stopped or taking a drink of water. I am also a fan of visors, a holdover from my mx days, but find them a major asset. They can block spray, rain, rocks, bug swarms, oncoming headlights at night and other things and that's why I prefer them. The Schuberth is heavier, quieter and well mad overall. The visor design os very poor and I'll tell you why. It vibrates very badly in wind and the locking tabs are very, very thin. I baby all my gear but when on the road both tabs broke off easily. I have mixed feelings about the helmet, and honestly I do not feel it is worth it's $900 price tag - especially with the failure points so quickly. It has little true competition, so I stick with it, but in the future would not buy it again.